Forms Galore has been compiled and created for Center Owners, Center Directors and Family Home Child Care providers. 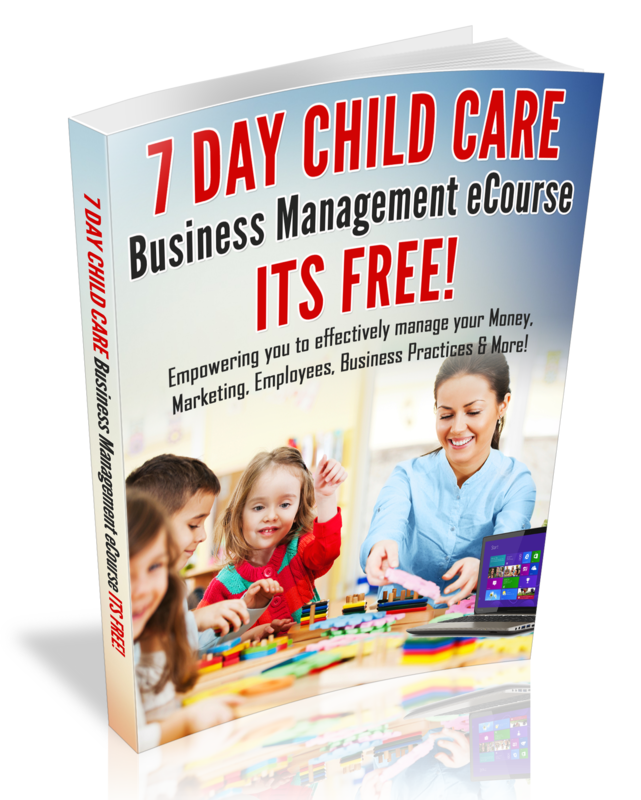 In fact, this ebook has been created with Effective Child Care Business Management in mind. For more information and to download a copy, click here! Are you a Family Home Child Care provider? Have you been thinking about Expanding Your Child Care Business? Not sure what steps you need to take to move your Business out of your home? Do you have some anxiety or worries about taking on the over head of a center? If you answered yes to any of the questions above, The Child Care Business Expansion Guide is for you! Download Your Copy Now! It’s time to increase your knowledge about Marketing, so that you can increase the profits in your Business and Build the Child Care Business of your dreams! Download Your Copy Now! Do you need more menu ideas? Would you love to have pre-planned menus that meet the Child Adult & Food Program guidelines that you can print from your computer?Check out the Healthy Child Care Menus e-book Today! The e-book includes 12-weeks of Healthy Menus & Recipe Cards. Do you manage a Child Care Facility? If so, you must download a copy of my Director’s Handbook. This ebook will provide you with proven strategies.